has been called to start the implementation of NavIC so that the platform can be rolled out and popularised according to a statement from IT secretary Ajay Prakash Sawhney. 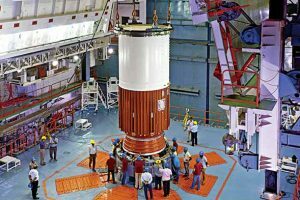 Indian Space Research Organisation (ISRO) has taken a lead in the development of the platform which is of strategic interest to the country. NavIC or the Indian Regional Navigation Satellite System (IRNSS) will work through a constellation of seven satellites. Designed to provide accurate position information to users within the country, it will elevate India’s status as the country enters the club of select countries with their own positioning systems. The government aims to have the NavIC embedded on chips as well as on vehicle navigation systems.